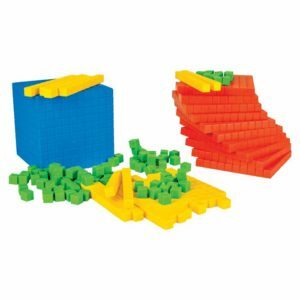 Let child explore this number planet in Math lab or in classroom to investigate number concepts. 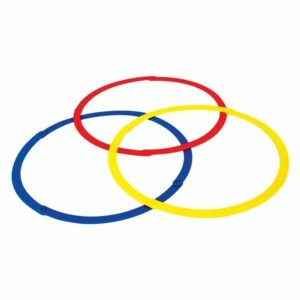 It is used to introduce number relationships and number operations, value comparisons and pre-algebra concepts. 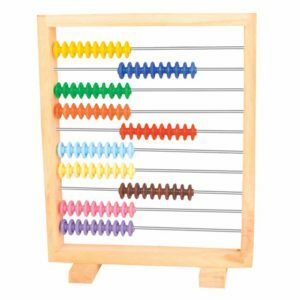 This manipulative is so versatile that you can use this as Number balance, Pan balance, Spick abacus and frame counting abacus. 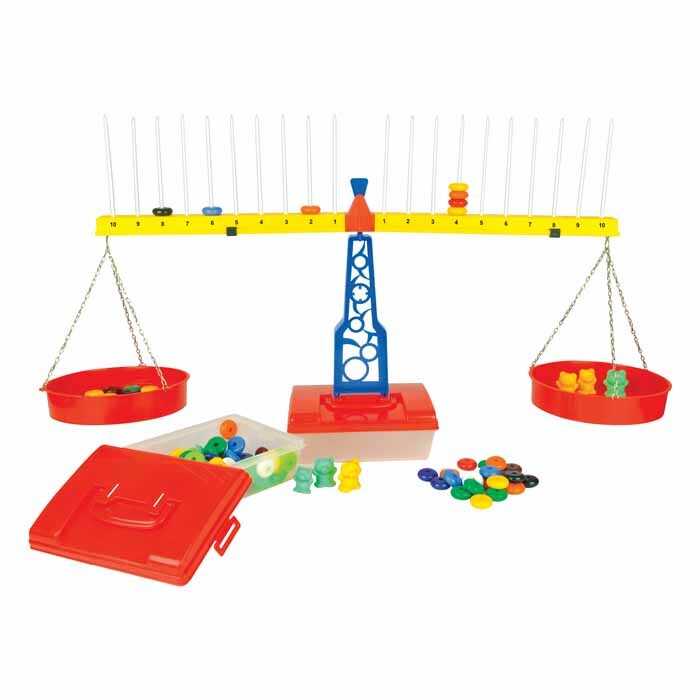 This balance is provided with assorted plastic beads, spikes, two pans with hanger, weight set, plastic stand, connector and base. 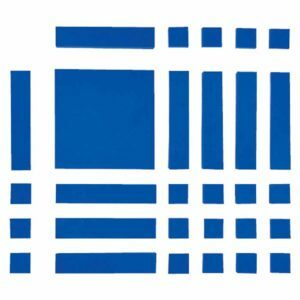 An educational game that intensifies kids in gaining number sense. 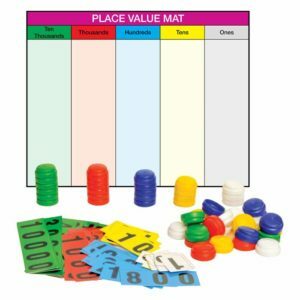 Extremely helpful in learning addition and subtraction. 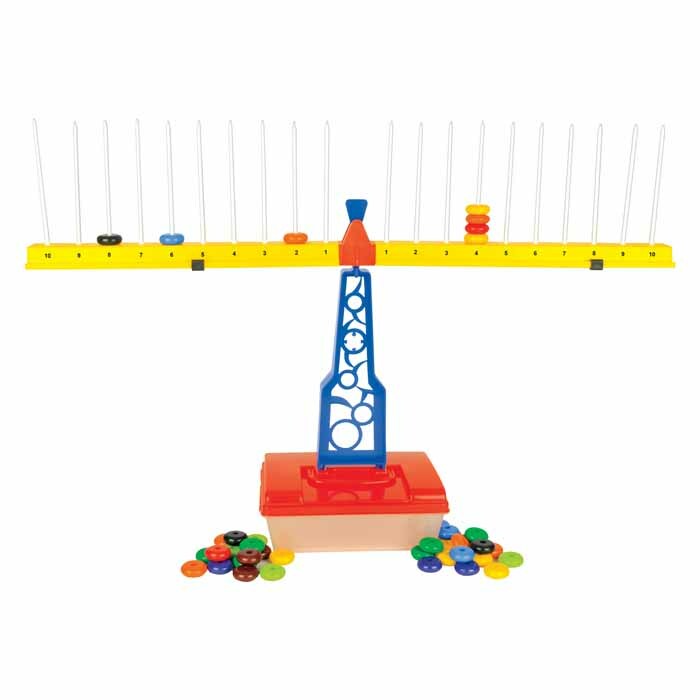 This colourful manipulative easily grabs attention of children and tilt them in learning maths concepts.